Hastelloy C276 Round Bar, Hastelloy Alloy C276 Rod Exporter, Hastelloy Alloy C276 Hot Rolled Round Bar, Hastelloy Alloy C276 Cold Finish Round Bar, Hastelloy C276 Round Rod, Hastelloy C276 Round Bar, Hastelloy Alloy C276 Rods Manufacturer in Mumbai, India. Hastelloy Alloy C276 Round Bar, Hastelloy C276 Round Rod, UNS N10276 Round Bars, Hastelloy Alloy UNS N10276 Forged Round Bar, DIN 2.4819 Cold Finish Round Bar, Hastelloy WERKSTOFF NR. 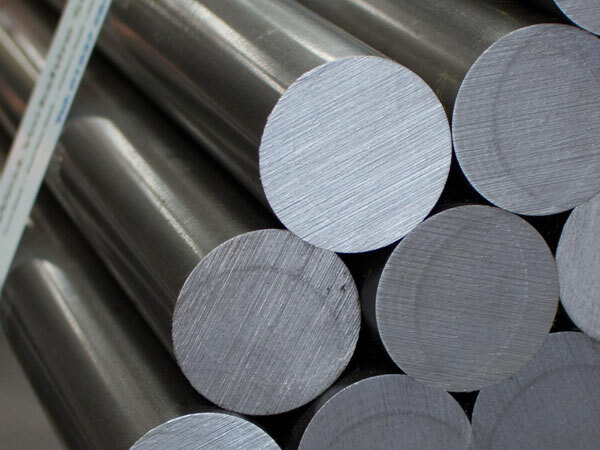 2.4819 Hot Rolled Round Bars, ASTM B574 Hastelloy Round Bar, EN, DIN, JIS, ASTM, BS, ASME, AISI Round Bar, Hastelloy Alloy C276 Bar Supplier in Mumbai, India. When you look into the online platform, there you will get the name of several manufacturers who use to make the Hastelloy c276 Round Bar. But your desired qualities and features you will only get in the product of the Jayesh Metal. They are one of the leading exporter and manufacturer of such types of bars since for long period. Beside this, it’s the bars are even standing as it for long even in the extreme critical environmental conditions. If you have a look towards it features that in it you will strength quality that resists towards the oxidation process and other erosion resistance. In its strength factor, you get high yield and tensile strength both at the same time. Its chemical compositions enhance its features to a greater extent. It offers the oxidation resistance feature too that means it doesn’t react to other material which is present in the atmosphere. On Hastelloy c276 Round Bar different tests is done that check whether the welding or formability which is done is strong enough to bear the weight and good enough to bear the attacks of the outer environment. Moving on to the packaging section then on it the manufacturer shows great care. If the Hastelloy c276 Round Bar is exporting to some other countries or places then, in that case, it is packed properly with plastic and then kept properly in the wooden boxes so that its structure doesn’t get damaged while shifting it. It needs to pack perfectly from all sides this protect it from rust and other things. Hastelloy C276 Cold Finish Round Bar, C276 Hastelloy Round Bars Manufacturer, Hastelloy Alloy UNS N10276 Hex Bar dealer in mumbai, Hastelloy Alloy C276 Round Rod, Hastelloy C276 Threaded Bars, ASTM B574 Hastelloy C276 Round Rod supplier in india, Hastelloy Alloy Flat Bar exporter in india, Hastelloy C276 Forged Bar supplier in mumbai, Hastelloy DIN 2.4819 Bright Bars manufacturer in india, ASTM B574 / SB574 Hastelloy Forged Round Bar Supplier In Mumbai, Hastelloy Alloy DIN 2.4819 Rectangular Bars, Hastelloy UNS N10276 Square Bars manufacturer in mumbai, Hastelloy Alloy C276 Rod supplier in india, Hastelloy C276 Round Bar Manufacturers in India, Hastelloy DIN 2.4819 Round Bars manufacturer in mumbai, Hastelloy C276 Round Bars Exporter, ASTM B574 Hastelloy Alloy C276 Black Bar.